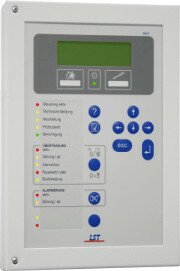 LST fire alarm panel is popular in mid-sized installations and it’s designed as a modular system. For customer requirement we integrated it into SIWENOID. SIWENOID use serial interface (with device server) to communicate with it. The commissioning of a graphic management system become extremly easy and fast.